One of the great benefits I have had since launching the website is the regular and wonderful interaction I have with Dave Brubeck’s fans, old and new from every corner of the globe. 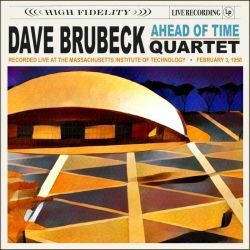 I get a great buzz when new fans advise they have caught the Dave Brubeck bug and have queries on varying topics. One of these “new” fans is Doug Anderson from Washington, DC. Doug's “bug” is the period of “The Classic Quartet”; he has become a student and indeed maven of this period. Doug brought his enthusiasm to very high levels by investing a considerable period of his spare time researching unreleased recordings of Dave included in vast treasure cove of sound recordings in The Library of Congress ; his story is detailed in the Recordings section, here.